ADULT. 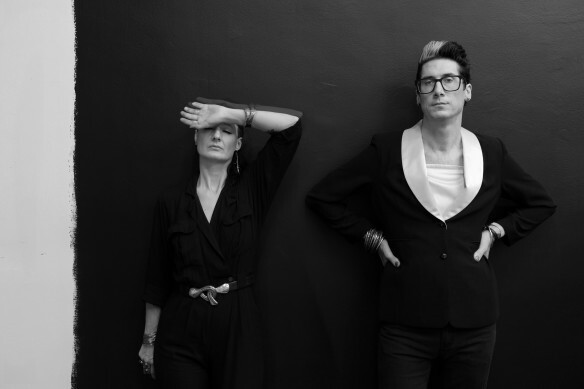 (Detroit’s Nicola Kuperus and Adam Lee Miller) have released a new video for “We Are a Mirror,” featuring Nitzer Ebb’s Douglas J McCarthy. Filmed in Detroit between the hours of 6pm and 6am, the video is directed by Hazel Hill-McCarthy III – the Los Angeles-based filmmaker who’s previous work includes a documentary featuring Throbbing Gristle’s Genesis P-Orridge. Watch the video HERE. 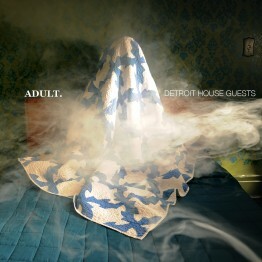 ‘We Are a Mirror” is taken from ADULT.’s collaborative album Detroit House Guests which was released in March by Mute. Recently, ADULT. 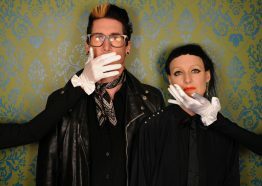 traveled to Nashville where they performed in Jack White’s hallowed Blue Room at Third Man Records. The audio from this show was recorded direct to acetate and will be released later this year as part of the Live at Third Man Records series. Detroit House Guests is a project conceived by ADULT. based on the visual artist residency model ­– each musician came to ADULT.’s studio for a three week period with the parameter that they all live, work and collaborate together. 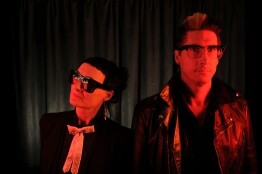 The result – a total anthropological sound experiment and a full length album. Listen to Detroit House Guests here. 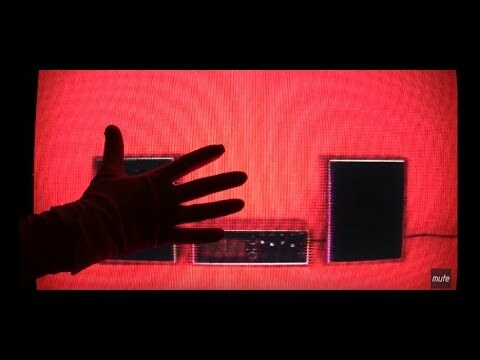 Watch “They’re Just Words” feat. Douglas J McCarthy here.